Apple has announced that with iOS 12, iPhone users in the US will be able to automatically share their location with first responders when they make 911 calls. Building on its currently-used location technology, Apple says that it will start to use RapidSOS's Internet Protocol-based data pipeline to quickly and securely share HELO (Hybridized Emergency Location) data with 911 centers. The company says that location data is gathered from cell towers, as well as GPS and Wi-Fi Access Points to determine a caller's location which can then be shared using industry-standard protocols. Apple insists that "user data cannot be used for any non-emergency purpose and only the responding 911 center will have access to the user’s location during an emergency call". 911 telecommunicators do extraordinary work managing millions of emergencies with little more than a voice connection. 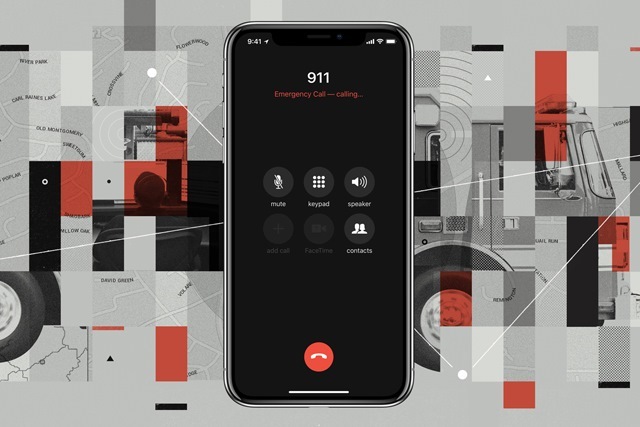 We are excited to work with Apple to provide first responders a new path for accurate, device-based caller location using transformative Next Generation 911 technology. Tim Cook says that the change will help to speed up response time when most needed: "Communities rely on 911 centers in an emergency, and we believe they should have the best available technology at their disposal. When every moment counts, these tools will help first responders reach our customers when they most need assistance".